Introducing "FISHFULL THINKING II", a North River Seahawk Offshore Pilothouse. 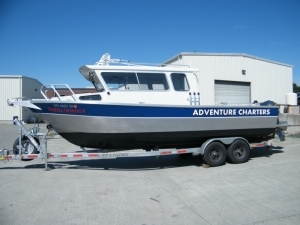 The most modern and comfortable boat in the fleet with a length overall of over 31 feet, she has wide open deck space, a comfortable cabin and a full marine flushing toilet. This boat is fast and clean. 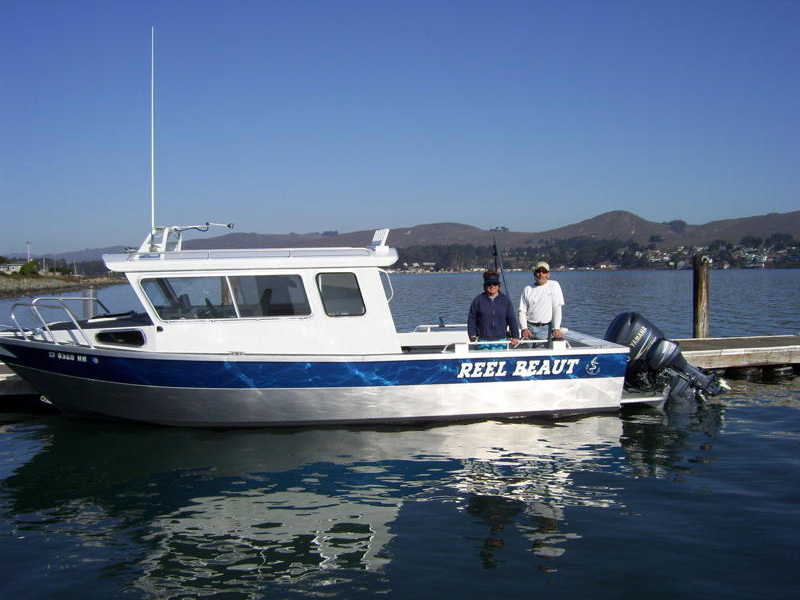 It has a deep V hull and hard chine for a more comfortable ride in choppy seas. She is currently being rigged with Lowrance's flagship full color high definition HDS sonar with side scan and structure scan, 3G radar, and Scotty's top end downriggers. Fishfull Thinking II will be in service May 2013. The Smiths all had a great day on their Seattle fishing charter.